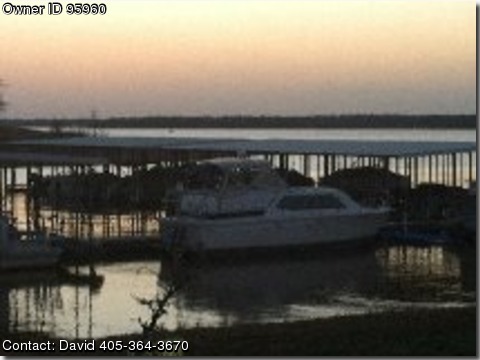 Call Boat Owner David 405-364-3670 580-747-4231.
re-charged with freon this year. someone able to take advantage of all the enjoyment she has to offer. interested and answer whatever questions you may have.